Every Legend, every superstar every team has that one opponent which has a number on him. Andre The Giant was unbeaten for 12 years, yeah but, Hulk Hogan defeated him…….The Undertaker was 21 and 0 at Wrestle Mania, yeah but, Brock Lesnar defeated him at Wrestle Mania, Brock Lesnar who is propagated as the Beast Incarnate, The Conqueror, yeah but, Goldberg not just that Brock is yet to score a win over Goldberg in any type of a match up, on this Sunday at the Royal Rumble Goldberg eliminated Brock Lesnar!! So there is always this, Yeah But!! Saipem have done wonders over the years, scoring victories against most of the opposition in EPCA, Yeah But!! 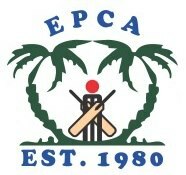 Saipem was yet to win against Falcons C.C in a EPCA setting. Besides the points table scenario, where this match was a must win for both teams, this Yeah But made this a touch more interesting……. Falcons won the toss and elected to bowl first which was an interesting choice since there was yet another “Yeah But” which seems to have taken place in the minds of most of the teams that Saipem is good at chasing, Yeah But they don’t do well batting first…..like seriously?!? If we may reply to this as, Saipem have won and can win batting first, someone would have still come up with yet another Yeah But saying yes Saipem have and can win batting first, “Yeah But” they are yet to score 300+ batting first….. Nevertheless winning toss Falcons still found it as the best option to put Saipem in to bat first, but little that they know what was next in store…..
Saipem had a promising start with Skipper Nishant and Abdul Rahiman toying with the bowlers at will, Saipem lost Abdul Rahiman 32(25) after a 76 runs opening stand which led the foundation. Skipper Nishant continued his great run of form and held one end for his 78(69) while forming meaningful partnerships with Ameen 21(17), Pramodh 17(15) and Babar 27(29). Saipem were 197/4 when Shafi walked in, and 215/5 when Babar got out and Vineedh walked in the game was still very much there for any team to dominate, “Yeah But” Shafi & Vineedh!! Shafi was as orgasmic as you can get on a Cricket field scoring 47(26) hitting 5x4s and 2x6s, whereas Vineedh 36(24) was a delight to watch on the other end, coming back to form in just about right time!! Together they took Saipem to 276/6 when eventually Shafi got out. Vineedh along with tail made sure to put an end to another ” Yeah But” and Saipem set a 318runs target for Falcons to win. Mujtaba Aka Sunny, provided Saipem with an early breakthrough removing Falcons skipper Farhan Nisar 6(6) when the score was just 18runs and the experience of Mohiuddin Zafar aka Chacha came into play when he removed Ubaid Alam 6(6) and Kamran 9(10) batsmen Falcons were most depending on. Ali Sleem 50(34) was the only batsmen from falcon who showed a bit on intent ” Yeah But” was eventually removed by Rajeesh Ahamed and with that rest of Falcons Inngs, it appeared was hand writing a night before by Saipem VC Rajeesh Ahamed Sir, who claimed a 5 wicket hall and never really let any batsmen from Falcons to settle down and fight back. Wickets kept on crumbling down and in a matter of few overs Falcons were 90/7, Mohammad Atta 46(33) and Rameez Anwar 12(23) kept Saipem waiting for the last wicket but it was more of a matter of when then anything else. Falcons were all out for 171 in 27overs and Saipem brought an end to many ” Yeah But” by scoring 317 batting first and winning by a massive 146 runs. ← Kashmir XI beat Gulf Cricket Club by 42 runs. You guys were flawless! Keep it up Saipem! Good luck for the upcoming games!